Joining the ever growing list of acclaimed games being ported to the Switch is none other than indie puzzle gem, The Bridge. It feels right at home on the hardware. 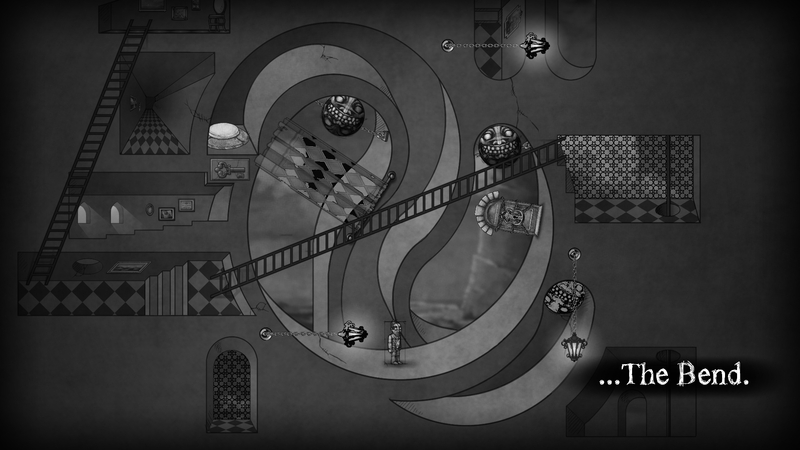 Described by project lead Ty Taylor as M.C Escher meets Isaac Newton, the game starts you off in a way that you might expect given the description: by hitting you, the player, on the head with an apple. After that, you can pretty much throw gravity as a logical concept out of the window, as it’s all downhill from here. Or uphill. That’s the point. 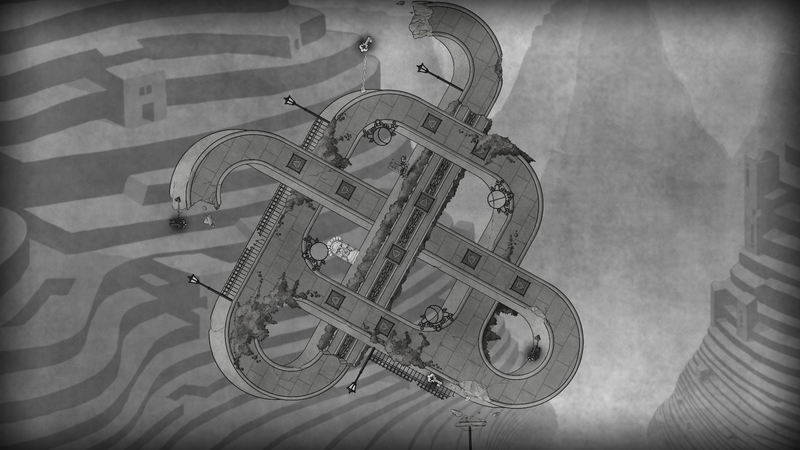 The Bridge consists of 48 different Escher style hand drawn puzzles, each relying on you to manoeuvre not just the character, but the rooms and corridors themselves, in order to reach the door and progress. 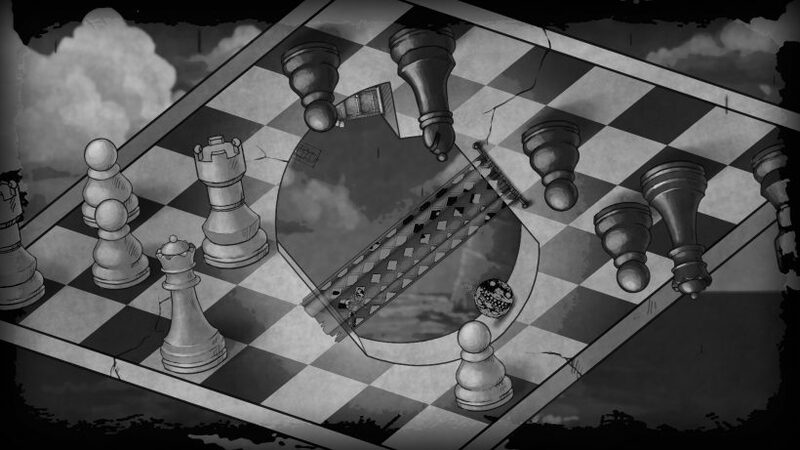 Using the house of the character (a bearded, fittingly Escher-esque looking gentleman that is hand-drawn in from scratch at the beginning of every level) as a hub-world and basis for progression, the game will increasingly invent new ways to torment and confound your brain. As if an expedition of the characters’ mind, you conquer and solve each envisagement of rooms within the house, with obstacles and traps set in front of you to throw a spanner in the works. Starting off slow, the experience introduces you to its rules and mechanics, before ultimately shattering them and dumbfounding you with the ways they can be used when developed in later stages. The game will often taunt you by placing the exit inches away from the starting point, almost reachable if not for the extremely large and sinister ball blocking your path. The feeling of determination and satisfaction I got when overcoming and laughing back in the face of these challenges was unlike anything I’ve played puzzle-wise on the Switch yet. It’s clear that The Bridge adopts much of its style from indie hit Braid, from the way it tells its abstract narrative, to the hub-world, even to the art style and rewind mechanic. But it’s not all borrowed. What makes The Bridge unique is that you don’t feel in control of the player, but rather the gravity and environment the player is within. The rewind mechanic is merely a tool to rectify mistakes and it doesn’t ultimately benefit your progress. The control scheme is simplistic in an extremely elegant way. Your character can simply walk from left to right with the analogue sticks or D-pad, whilst the two rear trigger buttons rotate each level to solve the gravity based puzzles. The lack of complexity in these inputs allows you to get truly engrossed and focus on the task at hand rather than struggling with a button combination. In the Switch version, the usage of the HD rumble is a welcome bonus, adding in subtle vibrations that align with objects such as the ball and keys as they move, resulting in a sensation that almost feels as though you have a tactile maze puzzle in your hand. One major inclusion, as with the Wii U version of the game, is the full support of motion and touch controls, something most games do not take advantage of on the Switch. To be brutally honest, these don’t work very well. And by that I mean they work well, but they aren’t helpful, at least in my experience. Because I was doing so much in-game rotating, I felt physically rotating the system was a step too far. Still, the developer should be commended for accommodating the hardware. As someone who has previously played the game on PC, it was fun experimenting for a brief moment. The presentation in the game is fantastic. 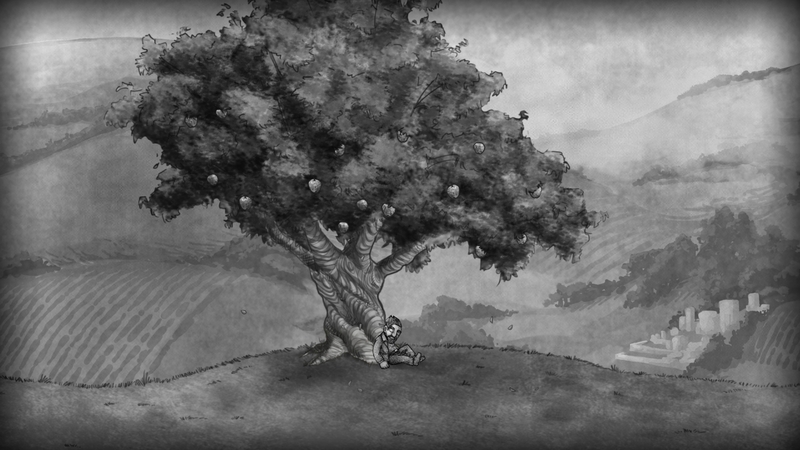 The games’ grey-scale colour scheme and sketchbook style only helps to further the themes conveyed by the gameplay. Not only are the stages themselves unmistakably facsimiles of hand-drawn Escher scribbles, but the artwork before each stage during loading looks brilliant. Curious flute motifs accompany each new chapter within the house and, alongside the Braid style aesthetic, create a rather unsettling, mysterious atmosphere. 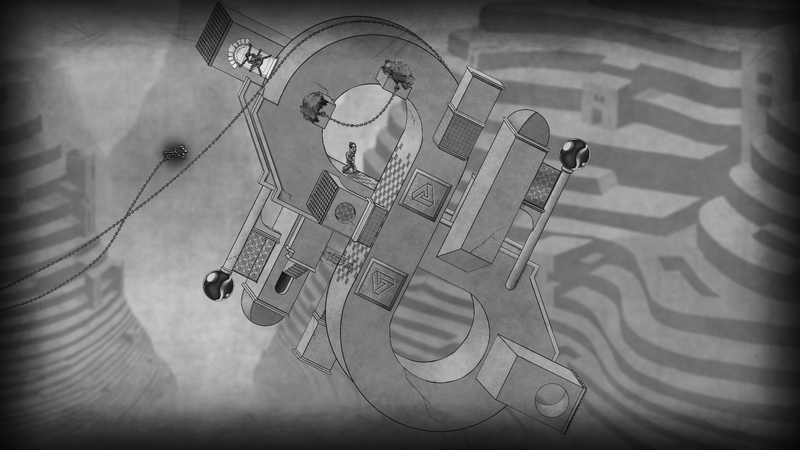 You start to really feel as though you are playing through a detailed scrawled notepad, a descent into madness with Escher imagery. The timepiece level is a personal favourite, it’s symmetrical design was lovely to rotate and dissect. The game gives off the vibe of a tortured mind, wrestling with ideas of reality being stretched beyond comprehension. Thinking about the story or what it’s supposed to be about kind of just confuses me, to be honest. I was genuinely considering contacting the developer and inquiring as to what their desired interpretation of the game was, and then it dawned on me: that’s probably the point. An isolated mind slowly drifting into insanity… and that’s just describing myself after pulling my hair out for half an hour trying to fathom a solution for the final level. As a port of an acclaimed title that has made its way onto most other platforms by this point, there are little to no differences from previous iterations, and I feel like some sections could have been tweaked. For the most part, the game’s simplicity is effortless, but there are moments when it can briefly stumble. The inverse mechanic, for example, introduced in chapter 3, is a cool introduction, But the first level meant to naturally accustom you to this feature had me stuck walking aimlessly on a Möbius strip for around 15 minutes before I realised the alarmingly simple solution. Usually in the game, as in other puzzlers, this is a marvellous revelation, but in this instance it was just down to not being clear. Admittedly gripes such as these are fairly nitpicky and, considering my brain had been utterly entranced by the experience, it was probably my own stupidity that stopped me from progressing. Overall, it’s a big, headache incurring thumbs up for The Bridge. The Bridge feels right on the Switch hardware, specifically in handheld mode. The atmospheric music, mind-boggling physics mechanics and abstract visual style all amalgamate together to produce one of the best Puzzle games currently available on the platform. With the games’ improbable extra challenges and post-game levels, It’s sure to keep you going back for quite some time. Providing you don’t go insane first.